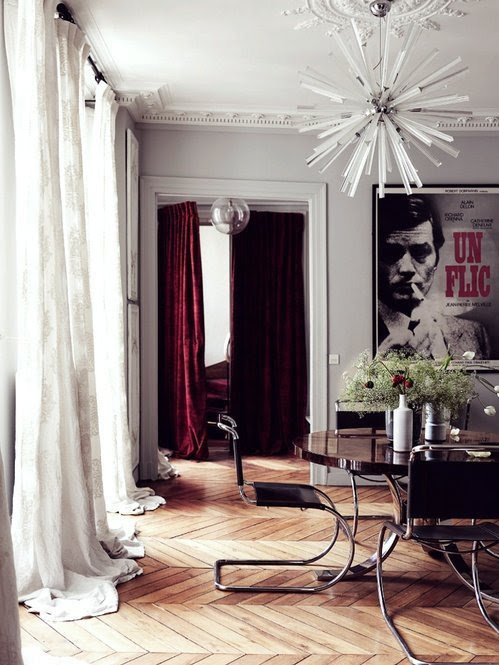 Floors are often the most used and the last to get noticed. We walk all over them everyday, rarely appreciating the way they grace our steps. That doesn’t mean they are any less important or valuable. Floors deserve our full attention and, just like every other detail of your home, the type of flooring you choose depends on so many things. Your floor should be able to stand as a design element all on its own, but lets not forget that form follows function. The style of floor you chose should largely depend on the room you are choosing it for. What’s going on in that room? Is it for your living room where you will be relaxing with Netflix or in your kitchen where you will be fast & furiously preparing many a meal? Should you chose the same flooring, it is certainly possible to add carpet in the living room to give it a warmer feeling.These style choices are entirely up to you. After you have chosen the right material for your space andbudget, bring some style to it. Hardwoods come in different shades and can be further stained to get the effect that you are looking for. Also consider the size of the planks you’d like to use. 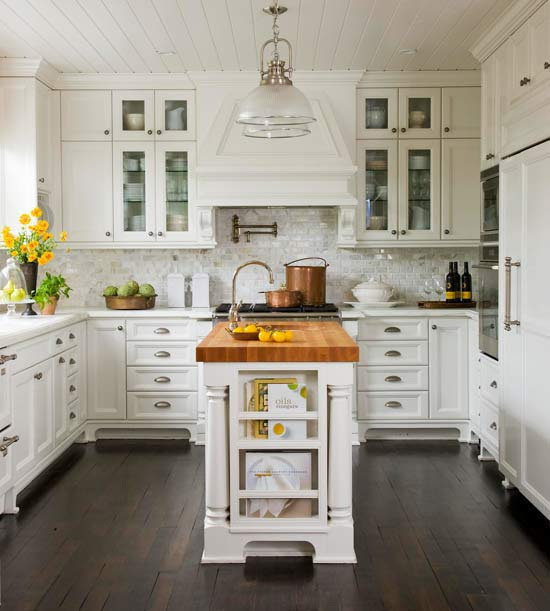 If you are putting hardwood down in a narrow or galley kitchen, try finding wider planks to help give the illusion of space (every inch counts in tiny living). Maybe you are looking for the timeless look of black & white checkerboard tiles to add a classic kick. Your floors have a voice, use it. 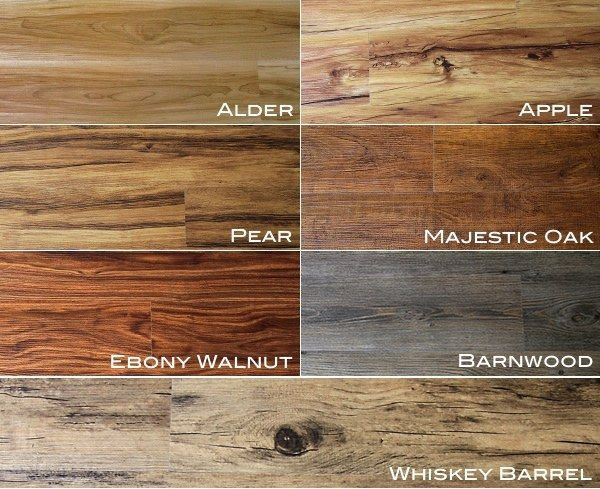 Let’s be real here: choosing a floor is not like choosing a paint color. 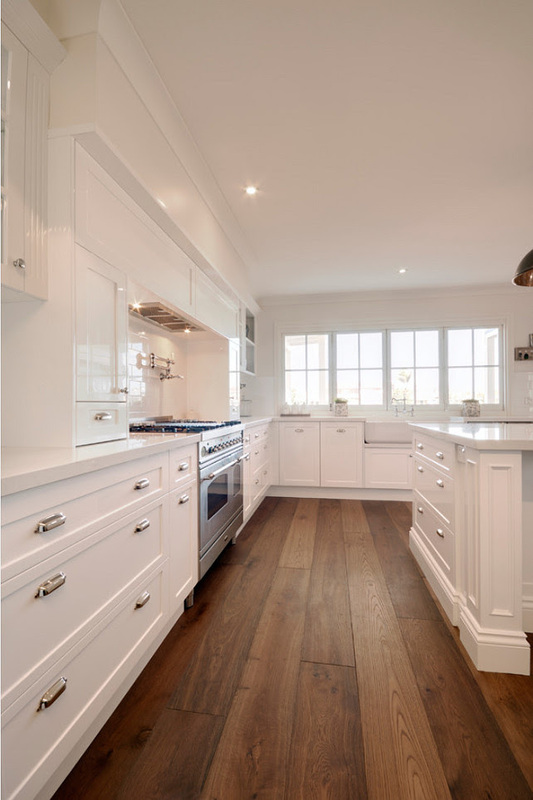 Paint is easily covered up and changed with the trends, your floors are likely to stick around for a while so chose a material that suits your lifestyle. There is no way around it, your floors will be heavily used. Are you choosing a durable material that will hold up over time? To being walked all over? Some floors require more maintenance than others and some are more durable. 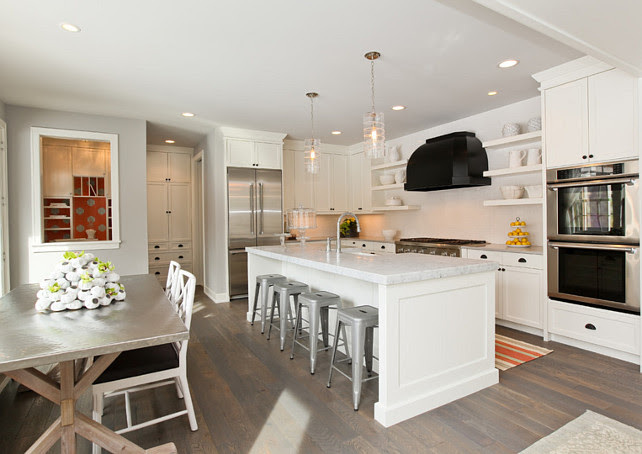 You may consider waiting for those expensive hardwood floors if you plan on having a bunch of kids running around in the kitchen (they create mess, they just do). Like all things with building or remodeling your home, the choices can be daunting. However with a little bit of research you can choose the floors that are just right for you. The upside of having so many options is that the right choice exists. You just have to find it, and we can help.